Speaking at a Conference in London earlier this month (May 2015), Stephen Hawking predicted that artificial intelligence will overtake humanity within the next century. But while it’s clear today that considerable technological advances have supported more informed business decisions, is the day people will be replaced by machines really just around the corner? Are machines really a threat? Big data and analytics are an increasingly important area of investment across organisations. A recent Gartner report estimated that this market will generate in excess of $3.7 trillion by late 2015. Data offer the opportunity for businesses to identify areas to greatly improve their overall efficiency and spot emerging trends. This approach has already been widely utilised by investment banks and pension funds. They make trading decisions based on algorithms developed from big data, offering insights into a range of variable data such as timing, price and volume. HR is certainly not as far along as some functions in their use of data analytics but it is catching up. For example, some businesses have applied an automated approach to the recruitment process, with automated CV screening and social media analysis to eliminate or identify potential candidates. Organisations vet applications based on criteria such as the university or college attended, the degree level attained, qualifications achieved and test scores. As HR continues to adopt a data-driven approach, how are the machines and technology we use actually affecting HR activities, and what is the impact longer term? The role of HR is changing, but it is not being replaced due to technology. Whereas traditionally, HR has been perceived as a middle rather than high skill occupation, technology is helping push HR up the value chain, to higher skill roles. A number of factors are working in parallel, giving the HR function a more strategic focus. Functions like finance and marketing tend to find it easier to prove their value to businesses by demonstrating their impact using data and analytics. Functions such as HR, which are further away from the bottom line, have a more complex task when it comes to translating people impact into concrete numbers. Each employee has multiple data points to their name, such as objectives, performance, competencies and so on. Nowadays, businesses are beginning to learn that they need to look more to the real impact of their people on business outcomes in order to gain a competitive edge. There is no doubt that technology vendors are driving much of the market for a strategic HR function. These technology companies are finding new ways to understand, map and model the workforce in ways which weren’t previously possible, linking people to the business. As highlighted earlier, they are also reducing time spent on more manual tasks, meaning that HR can use its resources for addressing more strategic questions. The UK is, and relies on being, one of the most advanced knowledge economies in the world. University degrees and practitioner training in HR means that graduates are no longer entering a workplace simply looking for ‘work’. They are becoming more skilled, beyond the competencies traditionally demanded by HR. This is pushing the HR function, with those entering it having much more awareness of their impact on the business. What is the long term impact of technology? Technology will continue to give HR more insights, opportunities for cost savings, growth and performance. Analytics is continually proving its value. For example, leading consumer electronics retailer Elkjøp working with Cut-e, a recruitment analytics firm, used psychometric testing and performance analysis to focus and improve their recruiting processes. As a result of the intervention, they forecast an 80% reduction of failed hires. The initial results suggest an upside of 10 million euros due to cost savings in the recruitment processes and the increase in performance from sales teams. Technology is changing the face of HR, the information it has at its finger tips and consequently the way decisions are made within the business. However, while technology provides direction for new opportunities, implementing them within the business will, at least for now remain in the hands of the people. For example, there is a rise in the demand for and the number of vendors supplying ‘predictive’ workforce analytics and organisational modelling. They want to be able to make better people decisions by analysing and understanding the impact of past and present trends and future scenarios. In a business context, this type of machine application can aid organisational transformations such as a merger or acquisition. However, if you start to run workforce simulations and scenarios, can you really leave it to a machine to make the decision to lay-off particular segments of your workforce or relocate others? The ‘people factor’ is vital in business decision making: decisions affect people, people work together and organisations rely on a healthy, communicative working environment to get things done. Yet the most logical decision from a data perspective may not always be best for individuals or the group. Human judgement is the most important element in the process, and it is practically impossible to teach to a machine. Technology helps us to ask more questions, but it does not give us all the answers. Data is all about relationships. Whilst computers can find trends and connections, they are unable to tell the story behind trends, to speak to people in a room and to act accordingly. HR is all about the people behind the business and how those people interact, not simply data points. So, unlike decision-making in markets, machines will find it hard to replace people entirely when it comes to organisational decisions. The challenge is for HR to make the most of the tools and technology available to make the most informed decisions possible, while bringing the value of their experience to their organisations. Giles Slinger is a Director at Concentra which produces OrgVue, a leading solution for HR analytics, organisation design and workforce planning. 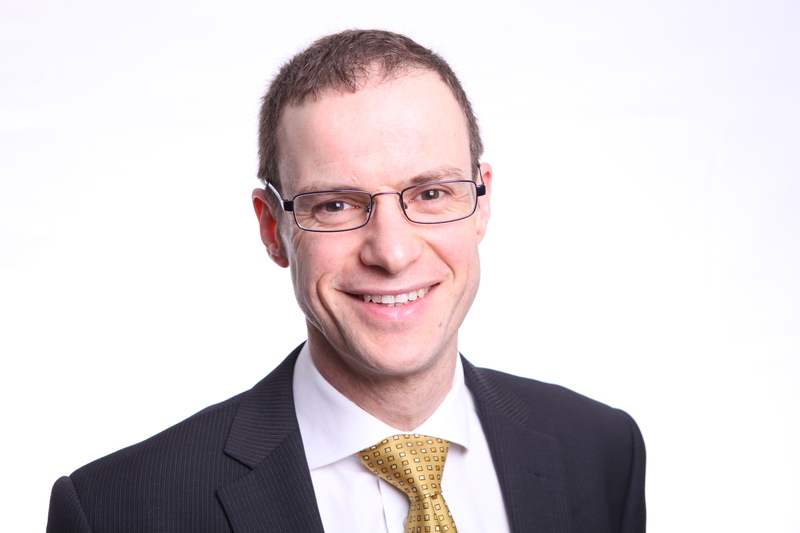 Formerly a Junior Research Fellow in economics at Cambridge University and a management consultant with A. T. Kearney, Giles' focus areas are on effective management process and intelligent use of business information through intuitive data management and visualisation. He is a firm believer in connecting organisations, employees and customers through promoting organisational transparency and clarity of information.